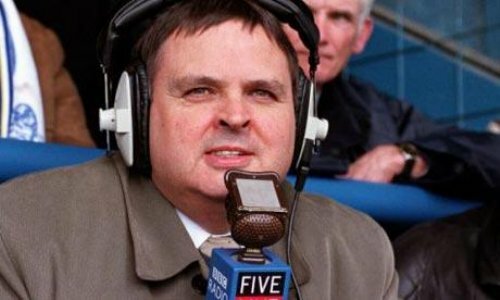 Anyone who happened to listen to BBC Radio Five Live’s coverage of Man City’s clash against Villarreal will have no doubt turned off (as I did) around about the point that their insufferable, jowly curmudgeon-in-chief Alan Green added ‘orchestrated fan displays’ to the long, long list of piffling things he ‘really hates’ about football – which came about five minutes before kick-off (a couple of minutes after he’d already taken the time to add the City fans themselves for having the temerity not to completely fill the stadium on a perishing Tuesday night). 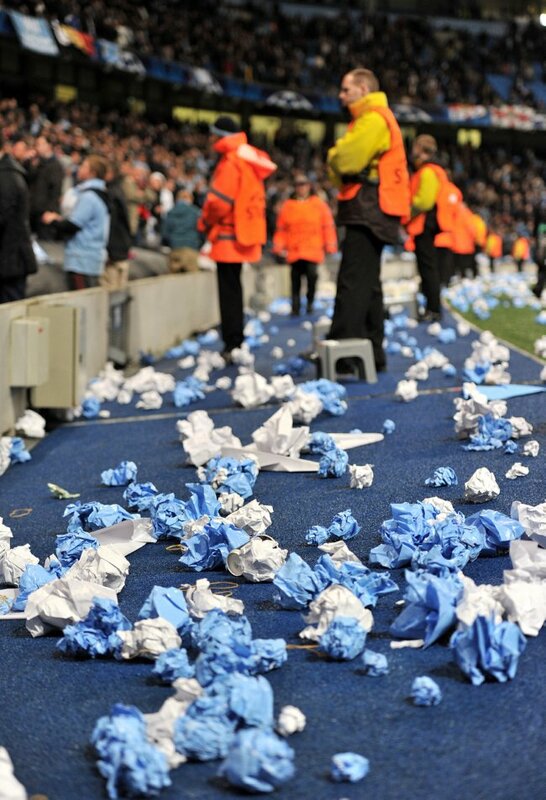 Anyway, Green was wibbling on about the blue and white cards that had been left on every seat by City in the terraces ahead of the turnstiles being opened which, once held aloft by the fans, would apparently read something along the lines of ‘Blue Moon’ – only, we didn’t actually get that far. Nowhere near. Seems like old Greeny may have had a point after all. Alan Green is trying to single handedly ruin football for me – it’s reached a point where I simply have to turn the radio off as soon as he starts his miserable egocentric bleating. Not that I’m condoning it, but it was an organised demonstration against the stewards because they beat up a 60 year old guy at the Villa game. Still a pretty dumb thing to do, seeing as UEFA aren’t known for their amazing fairness to English teams.